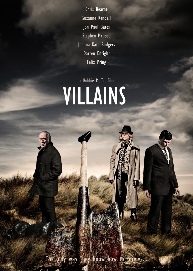 Jackie Shields, crook and villain, almost seventy, is at the end of this ‘working’ career. In and out of prison for most of his adult years, he is a poor father to his daughter Kitty, and violent short-tempered with his girlfriend Nora. Kitty, mixed up and selfish, is a product of foster homes during her father’s times in prison. Despite her university education, she has not broken free of her father’s villainous underground world. She has become amoral, scheming, and duplicitous- the only way she knows how to survive.